Ms. Trujillo has been part of Specialized Real Property Management organization since May of 2006. For the past twelve years, she has served in a wide variety of roles, including property manager, administrative assistant, and leasing agent. 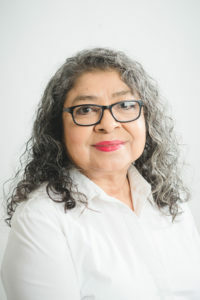 Prior to joining Specialized Real Property Management, Ms. Trujillo worked as a loan officer and non-profit housing counselor, and therefore possesses a deep knowledge of the industry. Currently, she devotes her expertise to various assignments, serving as a receptionist and project coordinator, as well as providing maintenance support. Ms. Trujillo enjoys weekends, caring for her 96 year old mother who is still very active, and spending time with her family.